Song of the day: Sam Page – "I Don’t Want To Think About Her Anymore"
I did that very thing yesterday morning, and it prompted today’s post. 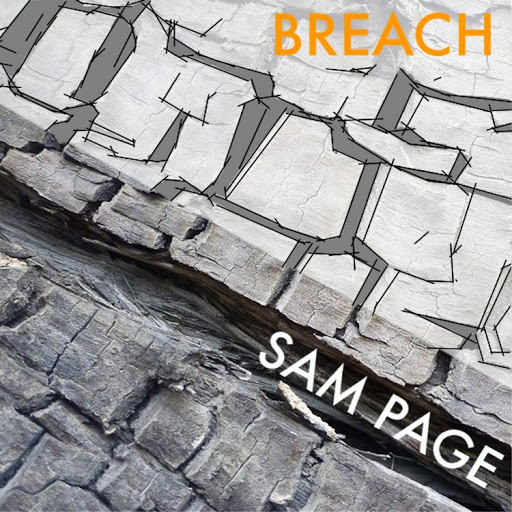 When I was over at the Powerpopaholic blog I saw a review of Breach, an album by a chap called Sam Page. “Hmm. That looks interesting,” I thought. Then I visited the Ice Cream Man Power Pop and More! blog, and the latest post there mentioned this Sam Page fellow as well. Sam Page emailed me last month asking for a review of the album. So I decided to do what any decent blogger would do in this situation: listen to the album and then post about it as fast as humanly possible. And that’s what I’m about to do. 0:00-0:17 – The way this song begins (i.e., with twangy guitars and friskiness) makes me think I’m going to listen to a countrified roots-rock album. 0:34 – I wasn’t keen on how Sam pronounced “tiara” here. He says “tierra”, just to make it rhyme with “Sierra”. Grrr. 0:39-0:40 – I liked the little “yodel-ay-hee-hoo!” in the left channel here. Cute. 0:41-0:58 – Although I’m enjoying the beat and all those twangy guitars everywhere in the mix, I don’t think the melody of this chorus is strong enough for the song. The singing and phrasing’s fine, but for me it’s not much of a melody. 0:58-1:22 – I’m starting to get annoyed by all that talking. 1:19-1:21 – Instead of a little “yodel-ay-hee-hoo” hiding in the left channel, we have a “rrrowwwww”. Cute. 1:38-1:55 – A twang-a-matic guitar solo. I like it. And I liked how it became doubled and harmonised. 1:55-2:15 – Back to all that talking. I’m looking forward to the chorus. It may not have a great melody, but at least there’s less talking in it. 2:15-2:33 – This song is well recorded. You can tell how well recorded it is in this brief section, where Sam finally stops talking long enough for you to hear instruments. 2. That note is deliberately off-putting because it signifies his dislike of the girl he’s singing about. I’m going with theorem number two. 2:33-2:39 – I did like the elongated “herrrrrrrrrrrrrrrrrr” (2:42-2:46), but I didn’t like the “Game over” spoken at 2:51. Comme ci comme ça. 0:32-0:50 – And back to the plk, plk, plk, plk, but with a drum beat. 0:50-1:05 – Then we’re back in Elvis Costello/Stiff Records territory. This song is so 1979. 1:05-1:48 – This is a moderately lengthy chorus. (I thought it had finished by 1:34, but it kept on going.) Despite its length, I preferred it to the chorus of the first track. 1:48-2:03 – This little twin-guitar thing is enjoyable. 2:03-2:17 – Sam’s singing here, sounding all gruff ‘n’ gritty, isn’t all that convincing to me, mainly because he wasn’t gruff ‘n’ gritty earlier in the song. Sam gets extra gritty for the word “off” (from 2:12-2:13), but I couldn’t see why. 3:00-3:29 – This is a repeat of the chorus but instead of Sam warbling away it’s a guitar soloing. While that guitar’s doing what it’s doing, there are some nice wordless background vocals. I like that. And I like the energetic drum fill from 3:06-3:08. Oh-oh. The solo guitar at reminds me of two other guitar solos: this part of Dire Straits’ “Sultans Of Swing”, and the end of the guitar solo in Gerry Rafferty’s “Baker Street”. Sorry about bringing in other songs when I should be focusing on Sam’s. From 3:22-3:28, the bass player got all melodic, but unfortunately I didn’t think the melody played on the bass fit the song. 3:29-3:35 – Well, that’s one way to finish a song. 0:00-0:07 – I like how this one began very much. It was so unlike the two previous songs, and I thought that it was refreshingly different to those rockers. This made me think of this Alan Parsons Project song. Excellent. I’d like to thank Sam for doing that. Thanks, Sam! 0:14-1:18 – That’s better. The band has come in. That helps enormously. However, I’m not totally diggin’ Sam’s vocals. For example, Sam sings “…notice me…” at 0:26 in such an odd way that I feel compelled to use the word “fey”. I’m going to have to say it. When Sam sang “notice me” he sounded fey. Don’t get me wrong. I’m not minding the song so far. It’s just that there are some elements of it that are preventing me from enjoying it more (e.g., singing “care flea” instead of “carefully” at 0:48, and a guitar out of tune from 0:55-0:56 then again from 1:09-1:10). 1:46-2:04 – A little guitar interlude. Tasteful. 2:04-2:11 – The band has stopped, and it’s now just a solitary, lone, alone, lonesome etc. acoustic guitar dolefully strumming a few chords. The rhythm of the strumming reminds me of America’s “Sister Golden Hair”. The chords don’t, but the rhythm does. I’d like to issue a correction here: That solitary acoustic guitar wasn’t solitary at all. There was an electric guitar playing along with it in the left channel. But that acoustic guitar sure did sound lonesome. 2:11-2:17 – The acoustic (and electric) guitar now has Sam moaning “Now I know” in slow motion. Sam, I know! 2:17-2:30 – Now it’s two Sams (one in the left channel, one in the centre) singing “Now I know” over and over again. They both know. 2:30-2:32 – There’s a frenetic drum fill here, and I think it’s the drummer’s way of saying “Sam, please stop saying ‘Now I know’.” It worked. 2:32-2:53 – A leisurely guitar solo. 2:53-3:11 – I think this is a middle eight. It’s different to the rest of the song, so I reckon it’s a middle eight. I’m enjoying the break from hearing the phrase “Now I know” repeatedly. 3:11-3:36 – I spoke typed too soon. 3:36-3:46 – The band plays its last chord, and it’s here that Sam sings the phrase “Now I know” for the last time. Yay! Hopefully those three tracks gave you an idea of the kind of music Sam plays. If you enjoyed any of them (despite my nonsense), then I can happily point you in the direction of Sam’s website, where you’ll be able to hear all the songs on the album – without interference from me. 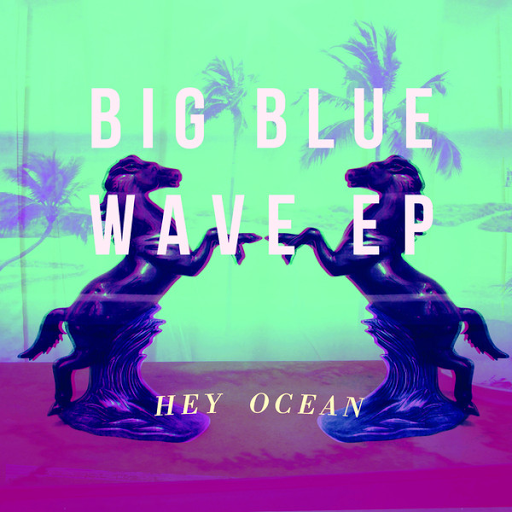 Song of the day: Hey Ocean! – "Big Blue Wave"
I was shown this video the other day, and I found myself liking the song a lot. I’ve been reliably informed by a member of the household who prefers to remain anonymous that Hey Ocean’s lead singer, Ashleigh Ball, voices two of the ponies on the TV series My Little Pony: Friendship Is Magic. You are currently browsing the archives for the Hey Ocean category.